As a little brother I respect you care for you and love for you. I won't disappoint you sister. Don't call someone brother or sister if you don't give them enough respect or always have their back. I do not mind if you treat me as brother, rather I will respect you as my sister. Giving your all to your little sister/brother just to see them happy is a beautiful thing. Respect you will gain. 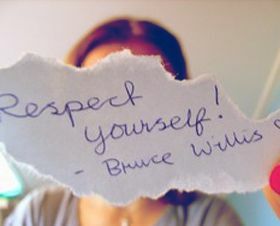 Always treat others with the respect they deserve. Be your brother and your sister's keeper. I hope my future husband has a sister & a brother so I know he's going to respect me & so I can have a brother I've always wanted. Having a sister taught me to love and respect women & having an older brother taught me how to treat them.